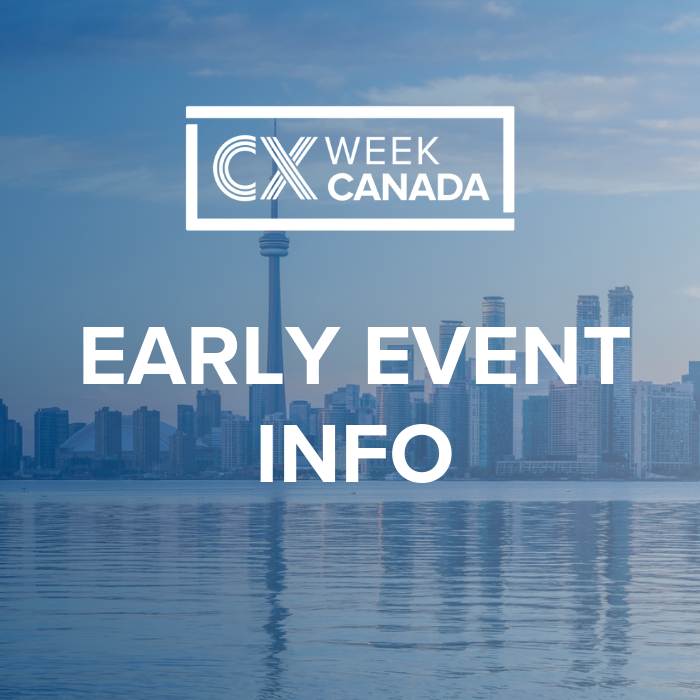 Check out the early event info for CX Week Canada! See the list of early confirmed speakers from Mattel, CIBC, Mark's, Manulife, Freshbooks and CSPN. Plus, view info on our keynote feature, day-by-day breakdown, what's new this year, and more! To get this sent to you directly, contact us here.